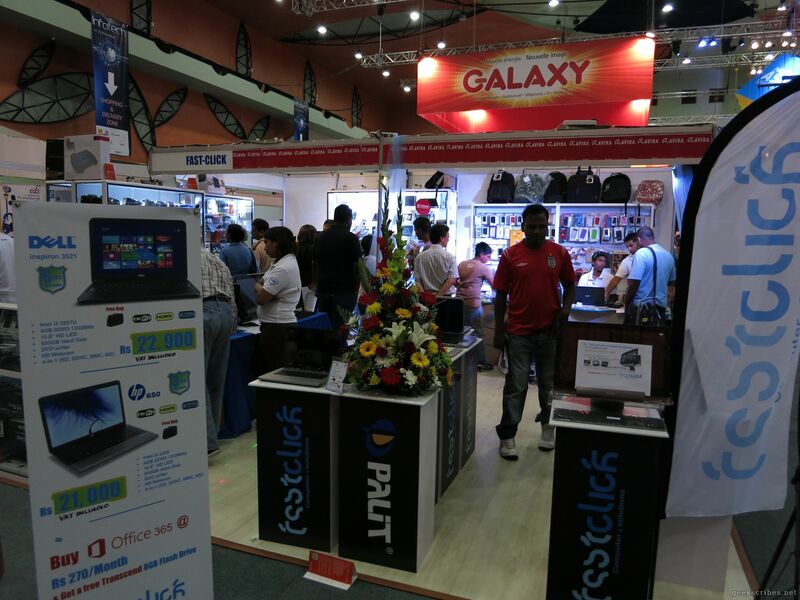 It’s that time of the year again: Infotech, with its lot of IT gadgetry, mobile phones, TVs, macbooks and other laptops. 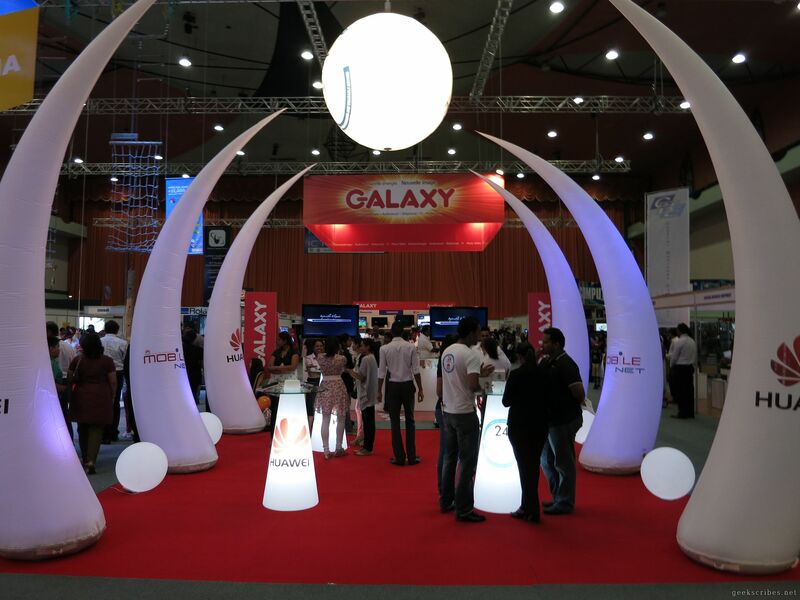 Many people have stopped going to the event since it became Mobiletech instead of Infotech, but I still go, mainly out of curiosity. 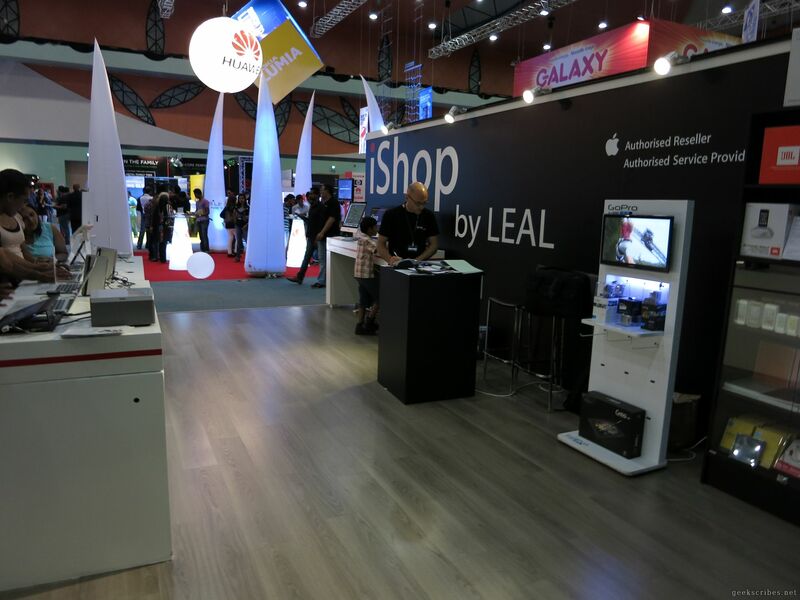 While the fair is a good opportunity to discover new players in the sector, do not expect to find any new technology there, especially if you follow the international tech scene closely. However, there are still a few surprises here and there which makes it worth my time. Anyway, on to the review. TL;DR: Lots of tablets. Lots of mobile phones. Many TVs and other consumer appliances. Not much of pure IT, sadly. Just as expected. 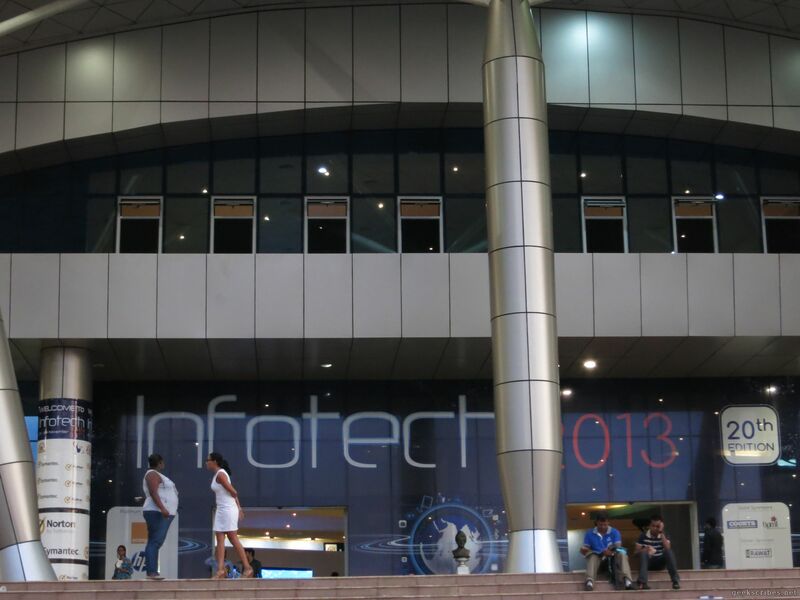 One thing to notice is that there are relatively few companies present this year as opposed to previous years, most notably, Emtel who have not attended Infotech 2013. 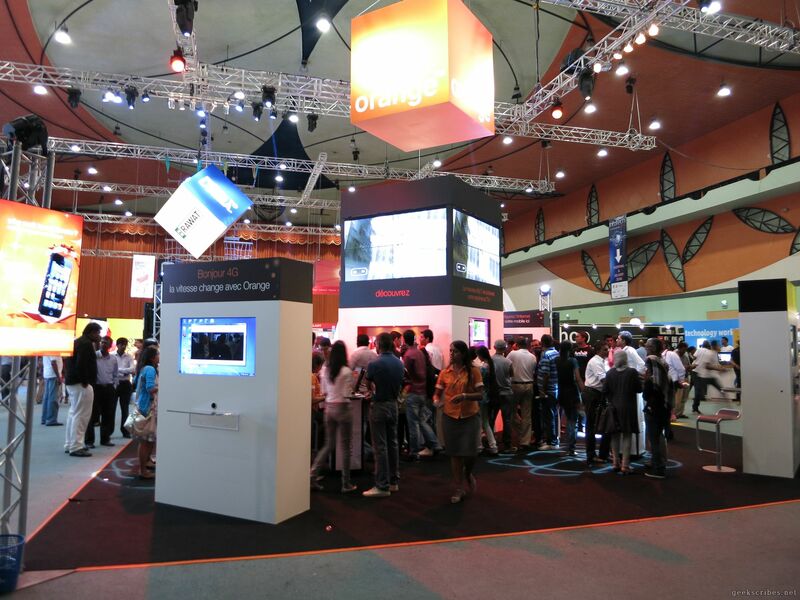 As usual, the big names have big stands, but Orange‘s, surprisingly, isn’t as big as I expected it to be but it was pretty well designed overall. 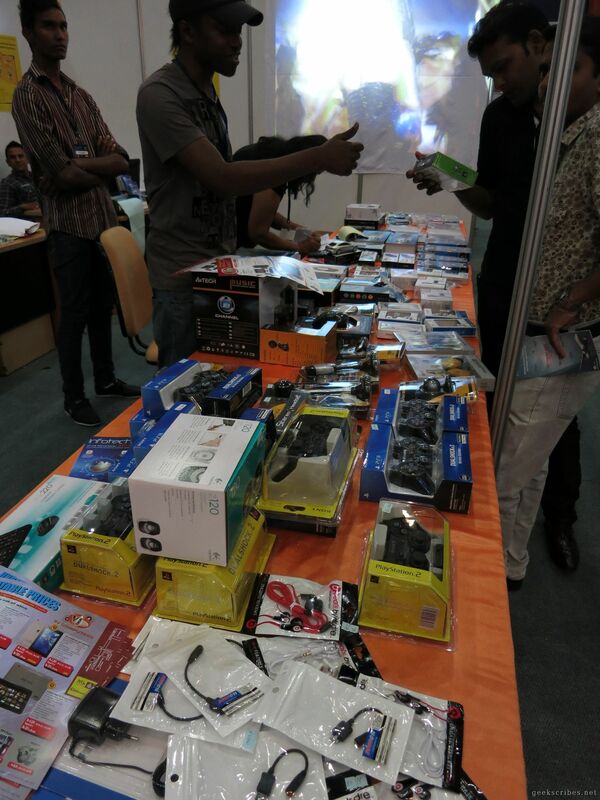 They were exposing their usual set of mobile phones, iPhones, tablets and their 4G dongles. I wished to see a demonstration of their new MyT fibre, but I don’t know if it is being exposed or not as I didn’t get a chance to speak to one of their representatives. There was quite a big crowd there. Then we had Courts, who was exposing their set of mobile phones and laptops, and interestingly enough, software in the name of Norton Antivirus! Didn’t know Courts sold software. Just to the left of courts’ stand, you’d find a small stand for a company called Star Touch, which are showing those Android TV sticks and boxes, so if you’re interested in those, they have a fairly good price. In the picture above, you can also see La Sentinelle group which are pushing forth their video and online services. Quite interesting to see a media company in Infotech. As expected, VJ Computers‘ electronics bazaar. Good prices too, probably the lowest of the fair, so give them a check if you need flash drives, memory cards or the like. 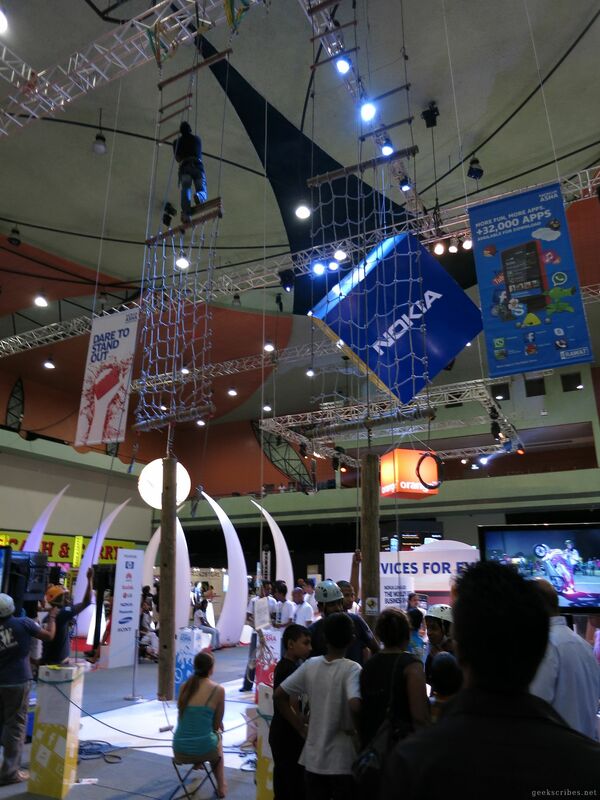 HM Rawat were showing off their Lumia Pureview 1020 phones and strangely enough, people’s climbing skills for some reason. They even set a tripod so people can take pictures and see how good the quality was. In the middle of the fair, we have Huawei‘s elephant-inspired stand with their phones and tablets. I didn’t get the opportunity to check their products out, unfortunately. Behind Huawei, Galaxy shows off its re-branded identity, leaving blue behind for a yellow-red, warmer logo. 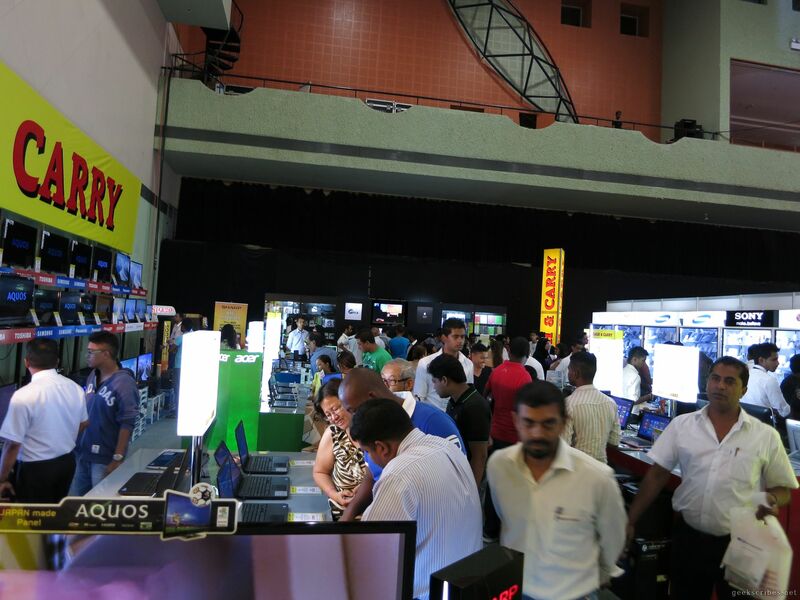 You can expect to see their various products there, including TVs, phones, laptops and other appliances they sell. 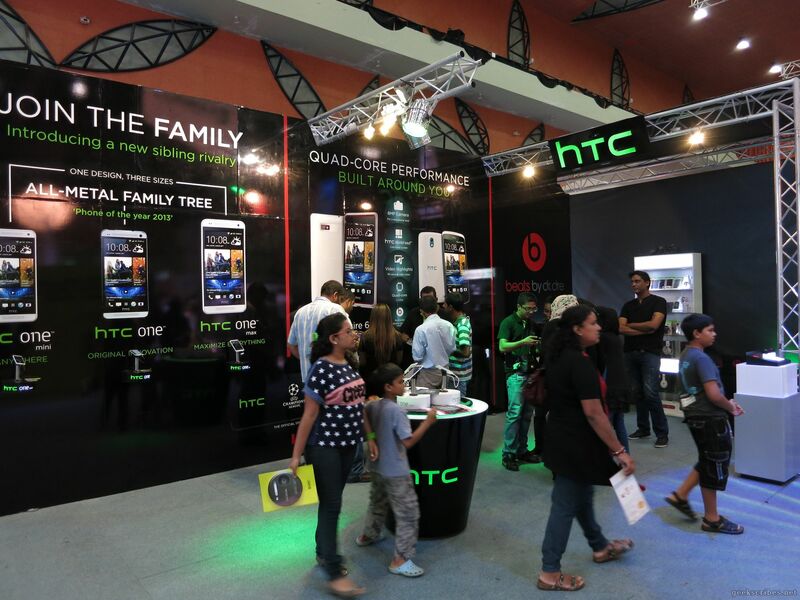 HTC had their own stand this year, showing off their HTC One phone series and Beats by Dre headphones, mainly. 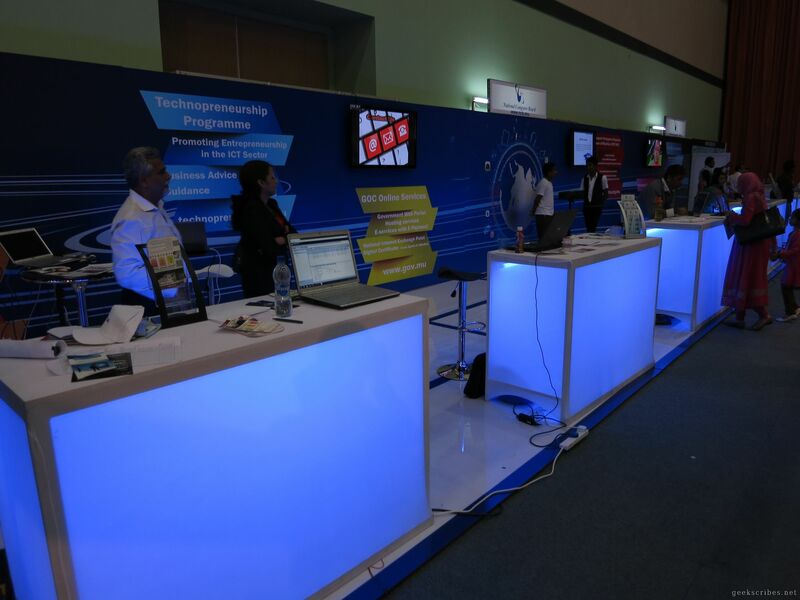 FastClick, one of the fast-rising IT companies, was present too, with a bigger-than-usual stand this time, and well-designed too! 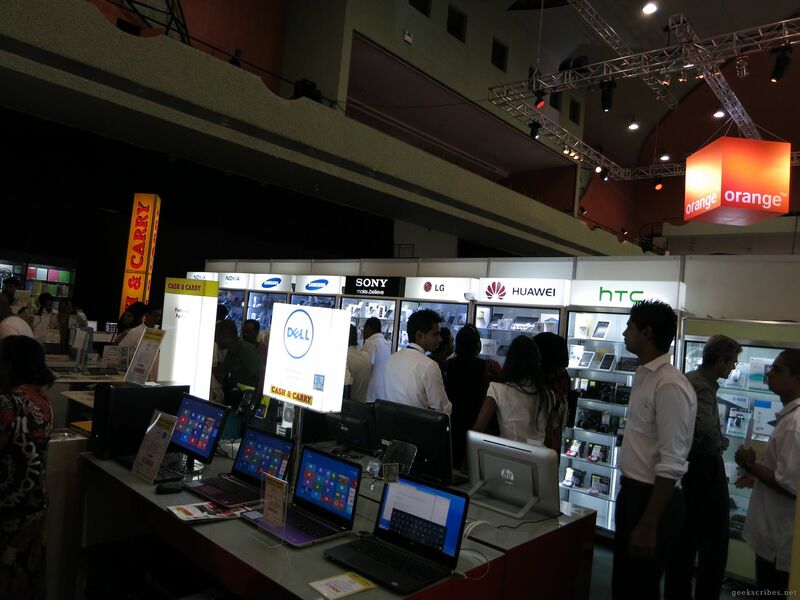 They were exposing a large variety of products, not just IT products this year. You could see phones, casings, computer hardware, laptops, tablets and interestingly enough, Cobra radar detectors! Of note this year, I found they are selling nice gaming hardware, including Corsair mechanical gaming keyboards and mice. They may not be within the budgets of everyone, but give them a try if you’re looking for gaming hardware this year. Pascal Computers were showing off their Asus Padfone 2, telephone-and-tablet hybrid device, which I found quite interesting. It’s a phone and a big, tablet screen. You can use the phone stand-alone, and if you plug the phone at the back of the tablet screen, you get a bigger screen i.e. a tablet. Price-wise, Rs. 30,000. 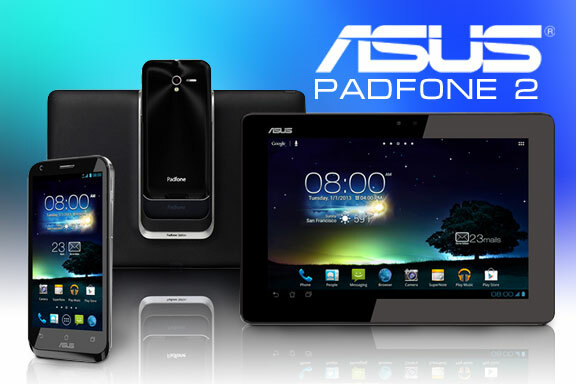 Well, if you’re in the market for both a tablet and a phone, you can consider this. Note that the tablet doesn’t work without the phone plugged in. 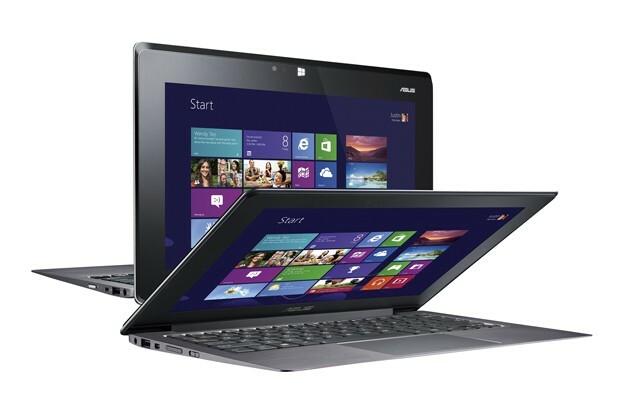 You could also see the Asus Taichi laptop, which has a touch-screen on its outer cover so you can use the laptop as a sort of tablet. Unfortunately, it doesn’t seem that both screens can operate at once but still an interesting device overall. Lightweight too for tablet use, although not in terms of price. Jacey Computers, well-known and loyal Infotech attendee was there too, with its range of products. If you’re in the market for a power supply, hard drive, mouse or whatever, including (as you may expect) a tablet, you can find all of that there. They’re also importing Ainol tablets, which is a fairly well-respected Chinese tablet brand. I tried one of them and was not impressed personally in terms of performance and fluidity, but if you want a cheap tablet for casual Internet browsing and bird-flinging, they may be suitable for you at around Rs. 7000. It is on sale there at around Rs. 7000. Gave it a try, it is quite precise and interesting to use, but I can’t find myself using it day to day. Nevertheless, an interesting gadget. Merlin were also showing their Fenda line of audio devices and I was frankly impressed by the quality, for a brand completely new to me. Granted, I’m not an audio connoisseur, but the sound was damn good for the price asked. Rs. 6000 for a 5.1 sound system wasn’t bad! Oh, they were also launching their www.itstore.mu website, which they are calling the “Amazon of Mauritius”, funnily enough. 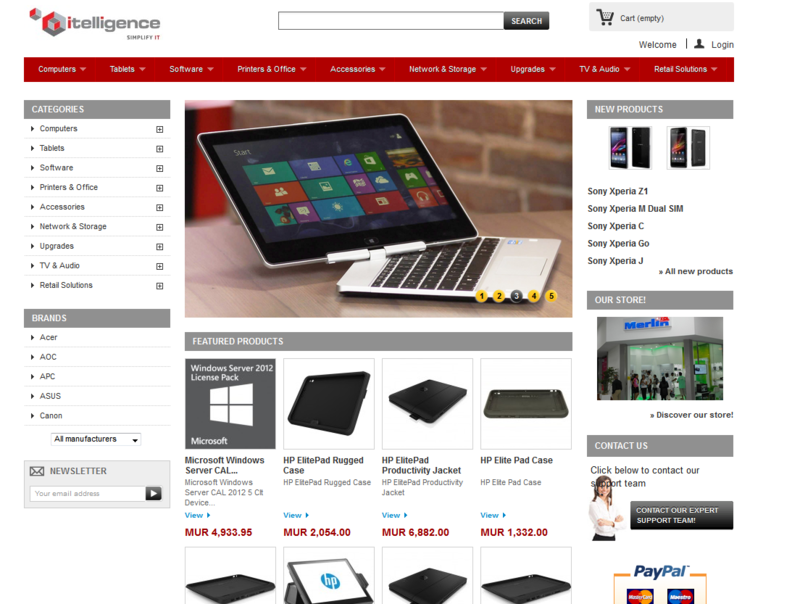 The website seems well designed and you can either pay online, or order online and collect at their shop. Still an innovative service that deserves some appreciation. 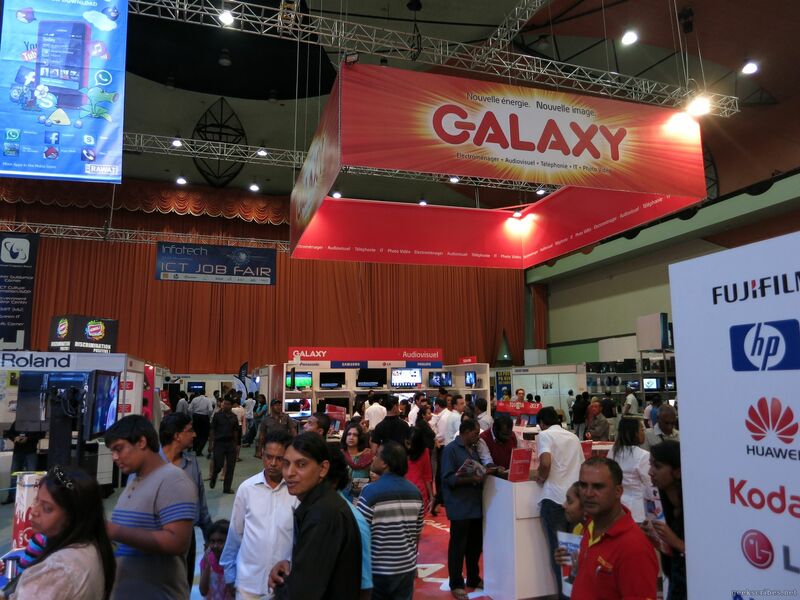 Cash and Carry, as usual, had a gigantic stand and showing basically everything that they sell, starting from PC parts, through mobile phone, laptops, tablets, TVs, iPads (including the new Retina one) and bluray players. They were pulling in quite the crowd too! 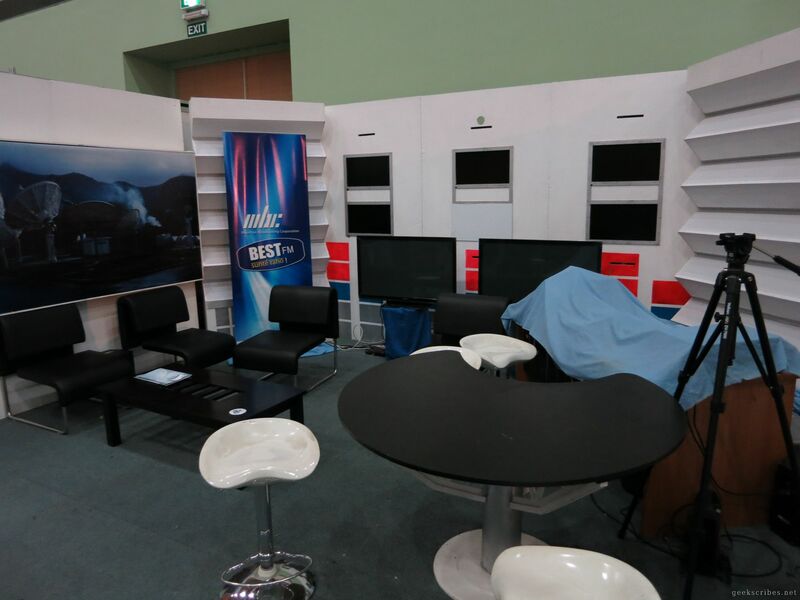 The MBC stand was completely empty. 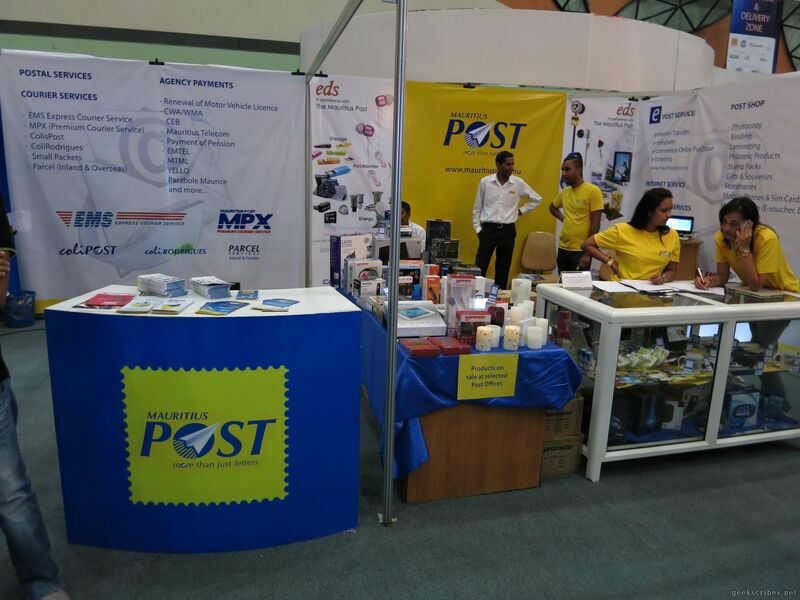 A surprising exhibitor this year is the Mauritius Post. I didn’t know they sell IT products and well, apparently candles too. It’s nice to see the Mauritius Post innovating by trying to sell IT products and offer IT services. They’re apparently offering EDS’ line of products through post offices so if you’re in need of a quick tablet, say, you could get it at your nearest Post Office. You can also order online and collect at the post office, if I’m not mistaken. The Job Fair area was quite deserted as I visited late during the day. Hopefully it will be very crowded during weekends, considering our 20,000 something unemployed people. 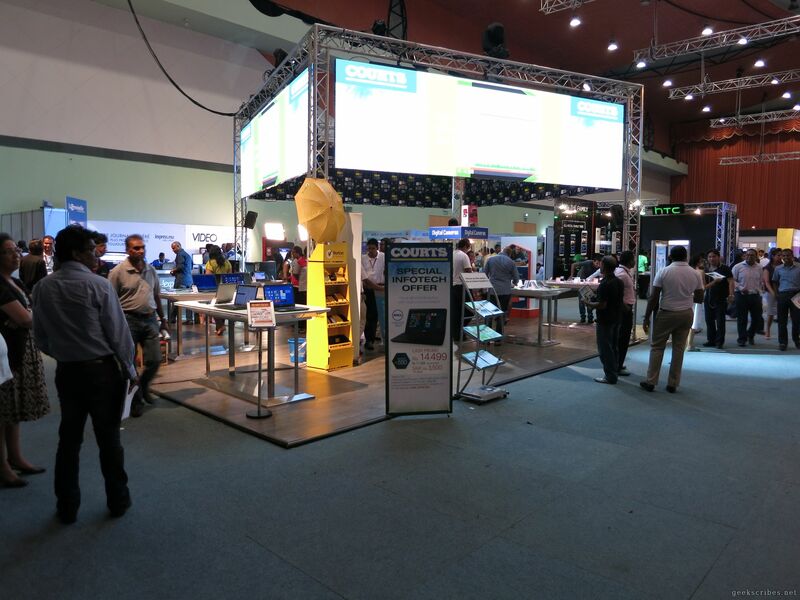 The National Computer Board had a gigantic stand, through which they were providing information. Their opposite neighbour was the Mauritius ID card! So if you want info on that, you know where to find it. Other mentions were the LAN arena found outside the main expo area, powered by FastClick. If you want to give LAN gaming a try, head there. Well, that’s it for my quick review of Infotech. It’s good to see new IT companies opening in Mauritius, bringing in new products and brands which we have not previously heard of before. I’m sure many of you would have seen most of this tech before, in online reviews or elsewhere, or maybe even own them. However, it’s nice to see some products which I didn’t expect to see, such as the Leap Motion, and get to play with these devices. 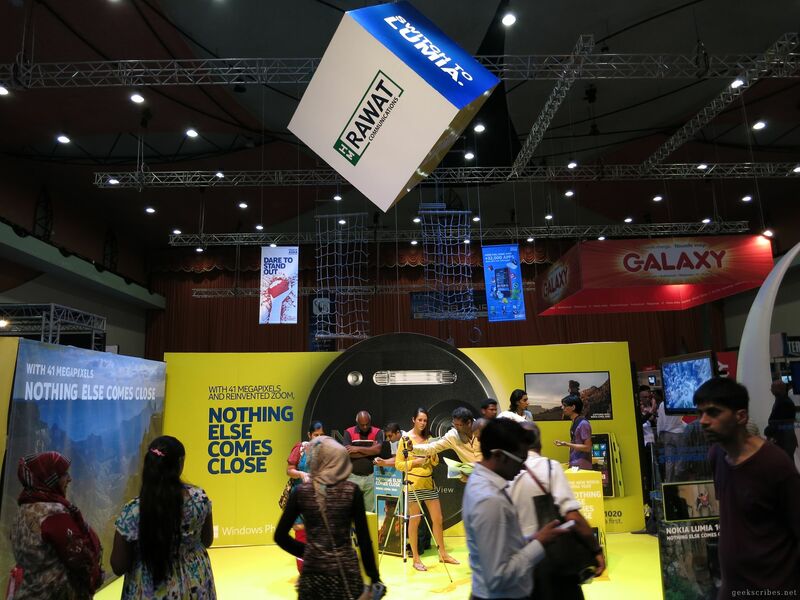 Thanks for reading and if you have visited, drop a few lines in the comment section below to tell us how you found the expo this year. I’m expecting the usual people’s articles soon, such as CarrotMadMan’s piece, which I’ll add as soon as I see them up. Strangely, I went there thrice in 2 days lol. The second time to buy a mobile and the third one to personally ask them a question on my purchase lol. Ever since infotech became a market place, i finally decided not to make my way out there, seriously, reading the site plan brings an opinion of negativity , since the fact remains that not any professional IT companies are present there. infotech is being much likely an opportunity of making business, which initially wasn’t the case. 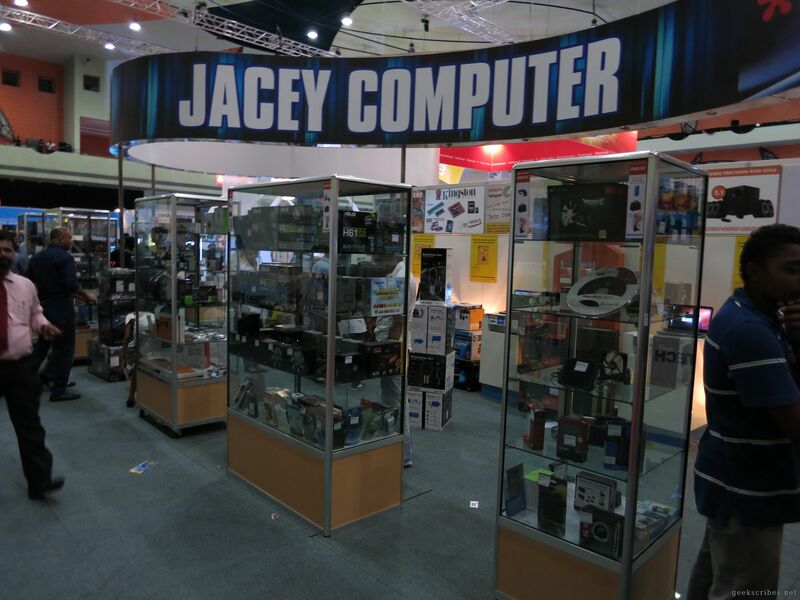 If memory serves me right, the way the stall was installed at jacey computers is no way different as from last year, so basically no investment!. 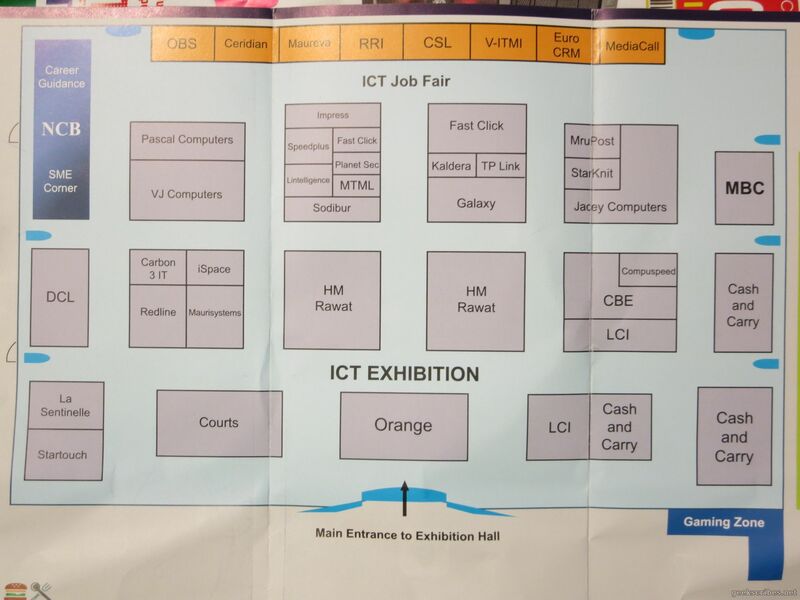 Infotech Shouldn’t have Mauritius posts etc, which in its way proves that this is not an IT fair but rather a fancy fair. 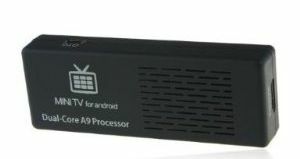 TO be serious, where do customer electronics such as television forms part of the IT field? If they were to introduce stuffs such as the Google nexus 5 which is in itself a new invention in the android market, i would had actually been glad to go there since such innovative are rarely heard of. How about Google glasses? If they were to introduce such stuffs, The infotech would had been much occupied of people since people looks for these stuffs. But the fact remains that Mauritius cannot be considered as a cyber island when we have one of the below average internet connection in the world. how can you expect the IT field to progress taking in consideration that the actual rate of internet per household is 1 mbps ( i megabit). You might find this strange but the fact remains that the lack of ISP’s in our island is one of the reason we are given such low internet connections. Talking about LAN gaming, Most of teenagers are affected in gaming with such low internet connections. SO one of the reasons i don’t appreciate Infotech 2013 is because of the lack of ISP’s. We are living in a world where technology should progress at the speed of light and fibre optics is a must for the IT sector, but with such internet connection, we cannot expect much. Do you imagine we are below average the world with the internet connection we are using? Would authorities actually react on that? The second thing you mentioned about Gaming hardware , My personal opinion would be that we cannot expect much hardware for gaming if we do not have Water cooling systems for motherboards, Motherboards such as ASUS sabertooth , Asus Maximus formulas and MSI Mpower max. This is the kind of technology we are talking about when referring to infotech. If infotech consisted of a decrease in countries internationalised domain names such as .mu and a discount in hosting at local level of servers, this type of stuffs would had actually lead many companies towards profits. i wished that infotech consists of companies dealing with big servers for website being hosted in Mauritius in order to prevent downtimes. I wonder if there was anything concerning web hosting and domains at infotech. If such basic stuffs are not heard at infotech, then we can gladly say, infotech 2013 was a complete fail. I would had also been glad if there was companies who actually gave people ideas of real time technologies dealing with software development and HTML. How awesome would such initiatives be? Just imagine people being there getting the chance to know the basic of HTML, C++ , java, HTML5 etc…. This kind of stuffs enlarge the audience but we cannot have such stuffs since Mauritius is really lacking behind in the IT field and infotech is only a means of promoting business than the IT field. If we could had people working with Google maps maker to promote businesses , that would a great way for companies to get their work done. If there were people who could help to design 3D buildings for Google maps, you would have realised how awesome Mauritius could be considered as a cyber island but we do not invest on such stuffs which can bring good to our society but rather on the economy which upon considering properly, the economy id never stable. 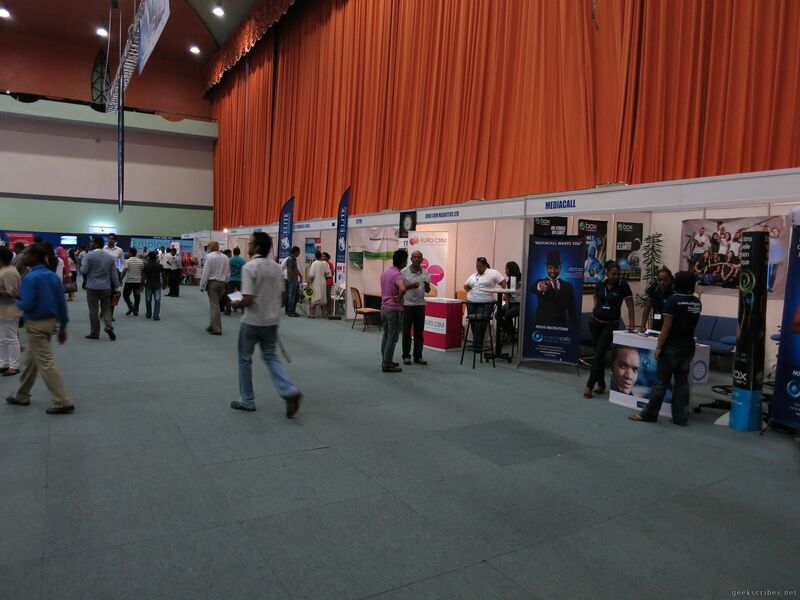 Great companies such as microsoft did not came for the infotech which makes us realise that it wasn’t worth going. i wished we had professional companies like google in the infotech prospering the light of technologies.